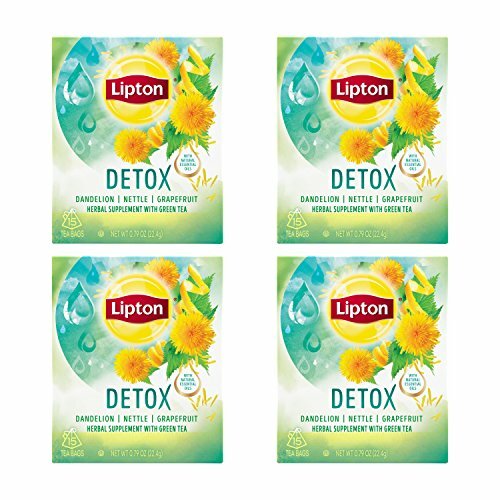 Bounce back to you with the new Lipton Detox Herbal Supplement with Green Tea, containing dandelion, nettle, and grapefruit. Detox is an herbal infusion that’s the perfect companion to clean eating*. Carefully selected botanicals are blended with green tea and grapefruit essential oil that make every cup delicious. Enjoy a daily cup or two of Lipton Detox to supplement your varied, balanced diet. For the perfect cup, brew tea bag 4-6 minutes in freshly boiled water. If you have any questions about this product by Lipton, contact us by completing and submitting the form below. If you are looking for a specif part number, please include it with your message.